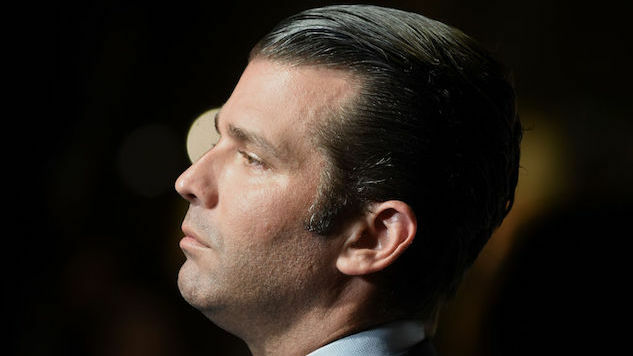 Michael Cohen: Donald Trump Thinks His Son "Has Worst Judgment of Anyone in the World"
While testifying before the House Oversight Committee Wednesday, former Trump lawyer Michael Cohen has spent a good amount of time detailing his suspicions that Trump directly colluded with Russia. Cohen’s claims revolve around the 2017 revelation that in June 2016, a series of email with the subject line “Dirt on Hillary Clinton” were used to set up a meeting in Trump Tower between Don Jr. and representatives of the Russian government. Cohen alleges that this was the moment in which Don Jr. told his father about the meeting with the Russian government, and Trump’s resultant display of his own involvement in the undertaking. Cohen remembers this one-off occurrence so vividly, because, as he puts it, “Mr. Trump had frequently told me and others that his son Don Jr. had the worst judgment of anyone in the world.” Therefore, this suspiciously personal interaction—and one that apparently saw Don Jr. leading the setup of a meeting—stood out to Cohen. Watch the relevant clip of Cohen’s testimony below, and read more about his opening remarks here. The sad personal story here is that Don Jr. might have committed crimes as a way to get close to his distant dad.